Hi everyone, and welcome to my page. I've set up this page to share my love of Stampin' Up! with you all - I'll be regularly sharing card tutorials, product demonstrations, and update you on any promotions coming up. 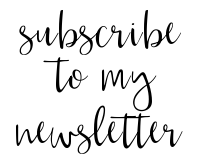 Subscribe to my blog and newsletter to make sure you're always up to date. You can also access my online shop, request a catalogue or contact me for info on joining my team, or anything else. Special thank you also to Catherine Carroll for designing and setting up my page for me - I love every bit of it and hope you do too!